At Golf & Ski Warehouse, we offer a wide variety of custom club fitting options at each of our four store locations. The majority of our fitting specialists have been professionally trained by experts from the leading club manufacturers—either here in our stores or at their corporate headquarters. Using the latest state-of-the-art simulator technology, our experts will give you the best custom fit for the best performance. Fitting sessions in our TrackMan 4 and GCHawk simulators are offered free of charge on a first come, first served basis. Getting an expert custom club fitting is the key to playing your best golf. Swing by our stores today! Our Greenland, NH, Hudson, NH, and Scarborough, ME locations offer a unique fitting experience using state-of-the-art Trackman 4 golf simulators. Trackman 4 utilizes the world’s first and only dual radar technology, providing the user with the greatest detail and accuracy of the club and ball at the moment of impact. Trackman 4 simulator custom fitting sessions are offered at no charge. Each of our four stores features the Foresight Sports GCHawk simulator with state-of-the-art object recognition and imaging technology. This new overhead-mounted system delivers exceptional accuracy and shot-after-shot reliability. Fitting sessions using our GCHawk simulators are free of charge and are available on a first come, first served basis. Each of our stores features multiple indoor fitting bays with state-of-the-art launch monitors and fitting software plus fitting carts from all the leading club manufacturers. Our fitting specialists utilize all the available fitting tools to find the best clubs for your game. Fitting sessions using our indoor launch monitors are free of charge and are available on a first come, first served basis. Located in the Callaway Performance Center in Hudson, NH, the Science&Motion PuttLab is an analysis and training system that analyzes the 28 most important parameters of your putting stroke and displays the results in easy to understand graphic reports. 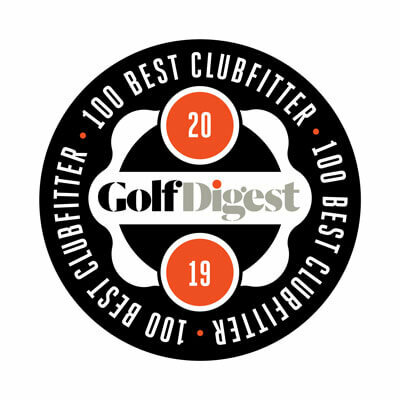 Discover your individual strengths and weaknesses to determine the best putter model for your stroke and the most effective practice routines. Outdoor driving ranges are available onsite at our stores in Greenland, NH, Hudson, NH, and West Lebanon, NH, and just two miles from our store in Scarborough, ME. Take advantage of this great opportunity to see your ball in flight and try new clubs before you buy. Each of our four stores features a spacious indoor putting green where you can try a wide selection of the latest and greatest putters from all the leading manufacturers—and see which putter is right for you. Choose from all the leading putter models in a variety of lengths, hit all the putts you want, and find the best putter for your individual stroke. There’s nothing like trying before buying! Each Golf & Ski location features multi-vendor and single vendor demo days throughout the golf season. Take advantage of a full selection of demo clubs and be custom fit by the experts from the leading manufacturers. Check back often as new demo days are added regularly.